Few months ago, we saw a presentation of the newest version of one of the America’s most iconic cars of all time, under the name 2017 Ford GT. This name appeared for the first time half century ago. In that time, Ferrari was the ultimate leader in all aspects, when it is about sports cars. Ford wanted to buy this small company, but Enzo changed his mind in the last moment. American company was forced to make its sports car on its own, and the result was Ford GT40, which is nowadays considered as one of the most iconic sport cars of all time. This name was revived for the first time about ten years ago, and now we are seeing second reincarnation of it. As we mentioned, company already revived this model in 2005. That model was visualy very close to the original. However, in terms of performances and especially drive experience, this model was not even close. The 2017 Ford GT goes in totally opposite way. This time, we have much more independent design, which comes in modern sports manner, but also features many of classic details to remind on legendary model. On the other side, new model comes with proven mid-engine configuration, which will definitely provide excellent drive feel. With 2017 Ford GT, it is all about racing. This model is designed for excellent performances, and in that order, it comes free of any necessary details. Even the cabin comes so simple, where everything is subordinated to the track. You definitely won’t find any unnecessary feature inside. Even the seats are integrated to the cars monocoque shell. The steering wheel comes in F1-based design, features all necessary controls on it, and also a shift paddles behind. 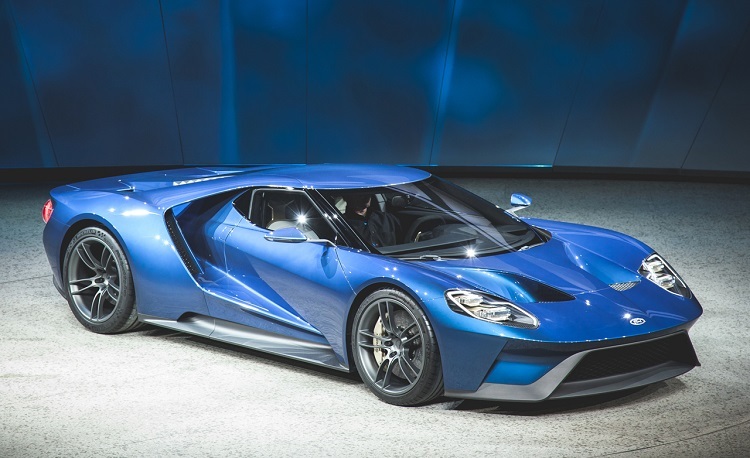 There were plenty of speculations about which engine will be installed in 2017 Ford GT. Most of us expected to see some V8 unit, borrowed from GT350 or some other Mustang. However, company went in totally opposite direction. 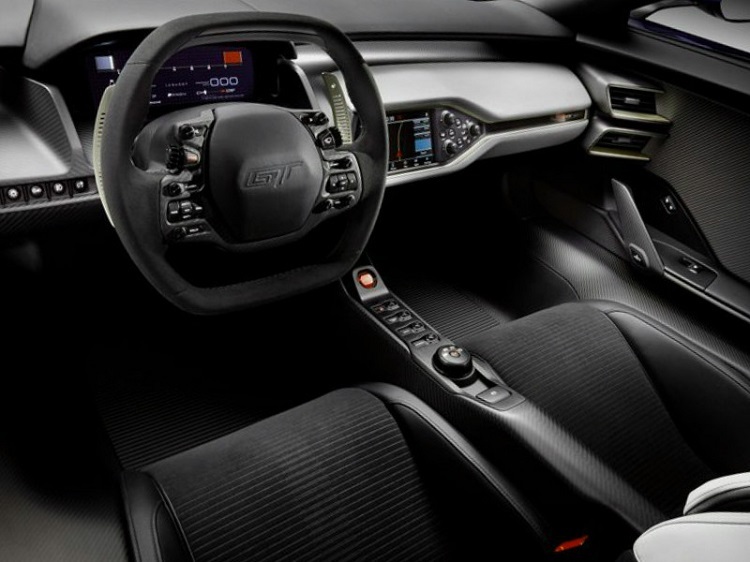 The 2017 GT is powered with a 3.5 liter EcoBoost engine, which comes boosted with two turbochargers. This provides magnificent output of 720 horses and 539 pound-feet of torque. This huge amount of power will provide excellent performances. Extremely quick accelerations and top speed that easily goes over 200 mph are guaranteed. 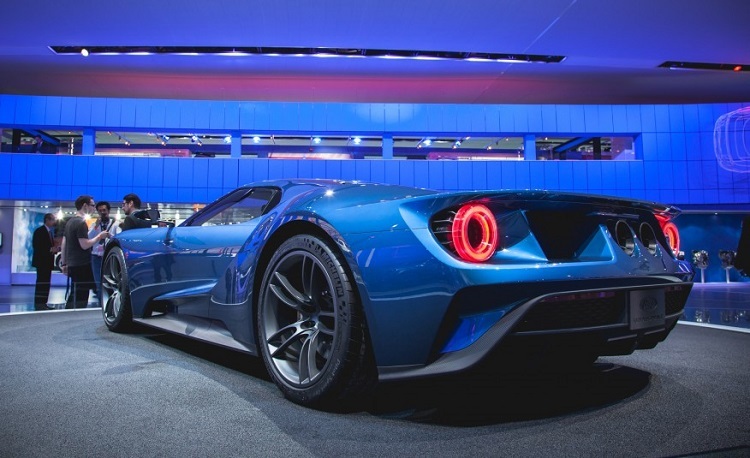 The 2017 Ford GT will come this year. Company wants to keep this model exclusive so, there will be only 250 units produced by year. New model will be produced in Multimatic company in Canada and one of these models will cost around 600.000 dollars.